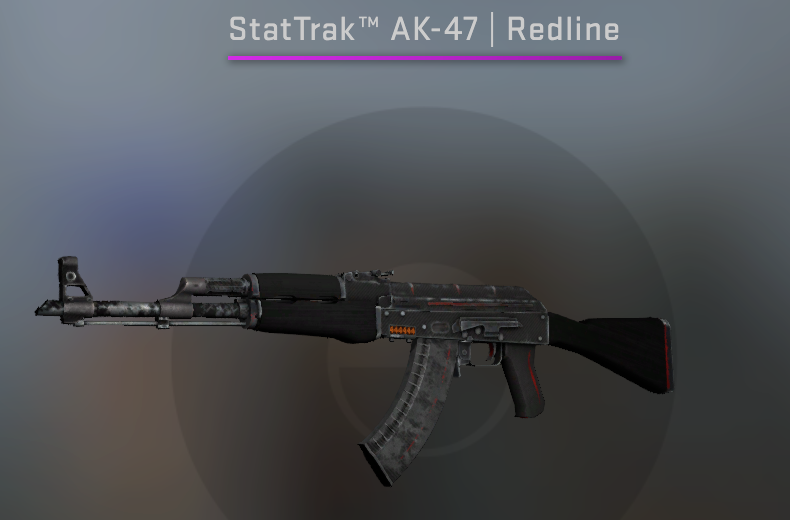 The AK-47 is one of the most recognizable guns in CS:GO, and as such you really want the best looking skin on that gun; you probably use it on almost half of the rounds in a match. Here are 11 of the best ak skins CS:GO has to offer, all under 10 dollars, that look great despite their cheap price tag. Prices are accurate as of March 2019. 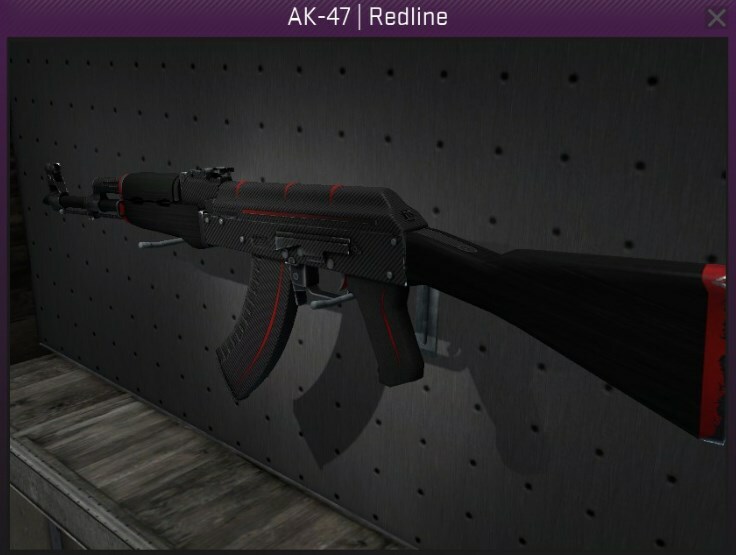 One of the most classic looks for the AK 47 has to be the Redline, utilizing a simple red on black color scheme to make your primary gun look amazing. 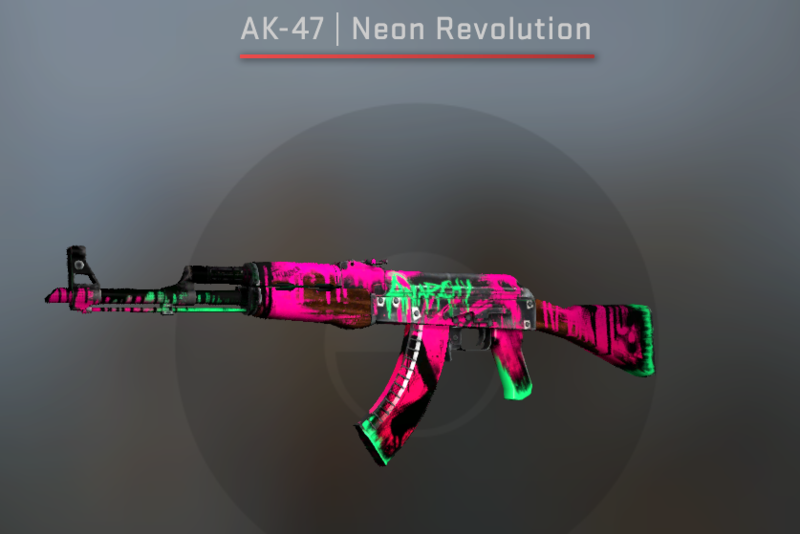 You won’t find many AK-47 skins better than this one. 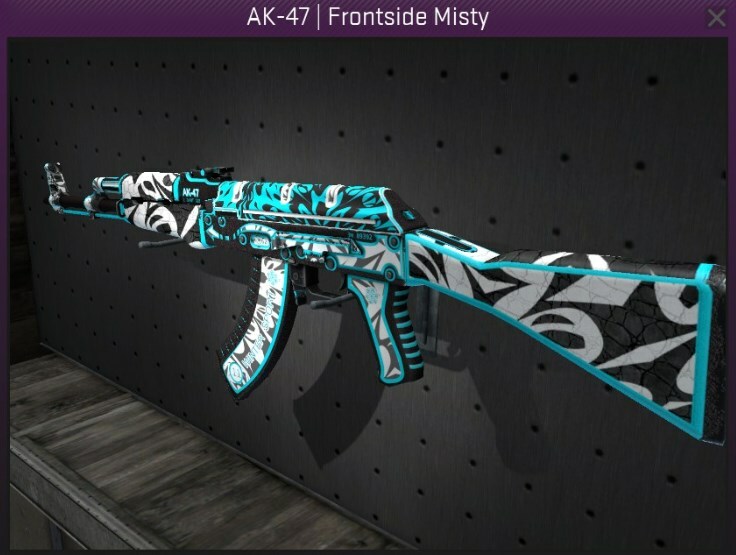 To be able to grab an intricate skin like the Frontside Misty for under $10 is crazy, and is a decent condition too. Despite being released two years ago it is still one of the most stunning rifle skins out there, and well worth the pick up for under 10 bucks. We’re a fan of the outlandish, flashy skins in CS:GO, but there’s also room in the game for the plainer skins. Enter, the Black Laminate. Black on black on a gun that’s already menacing makes for a fearsome spectacle. You have to admire it. 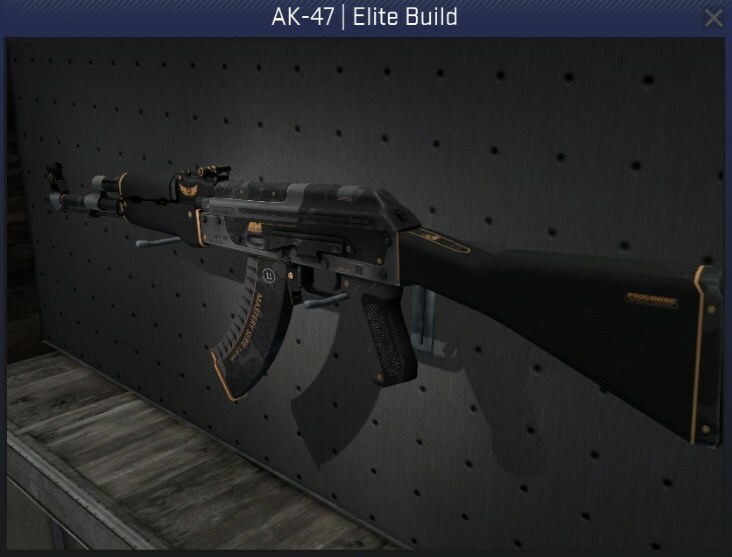 The AK Elite Build was introduced into the game and immediately adopted by a large portion of the players due to its slick simplicity and how nice looking it was, and is up there with the best cheap AK skins. For those on a very tight budget, this is certainly one to look at. 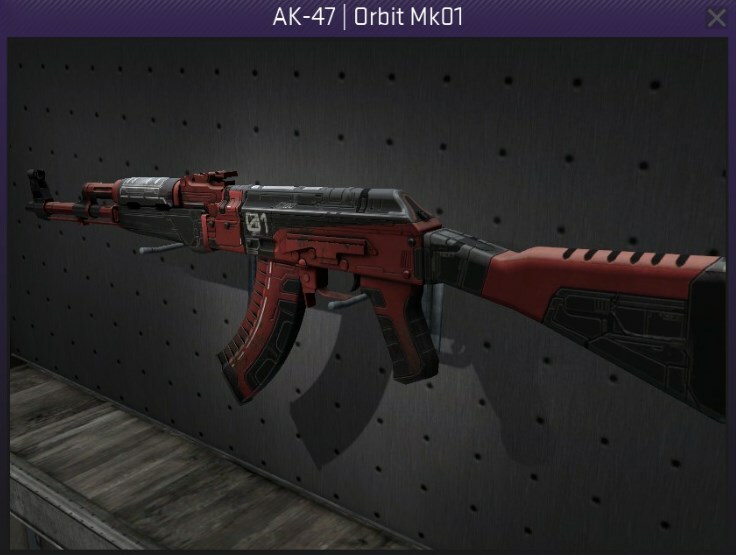 The laminate series of AKs in CS:GO features three colors: red, black, and blue. The blue contrasts nicely with the rest of the black AK and keeps its price low, as there is nothing super fancy about this skin. 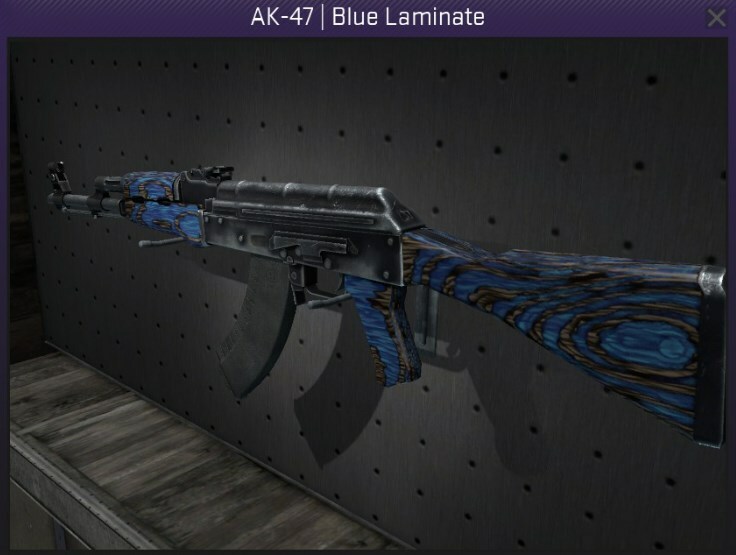 Out of all the laminates, the Blue Laminate is the skin that gives you the most bang for your buck and is the best cheap AK skin you’ll find out of the set. The Orbit Mk01 came out in 2017, and it still looks great. 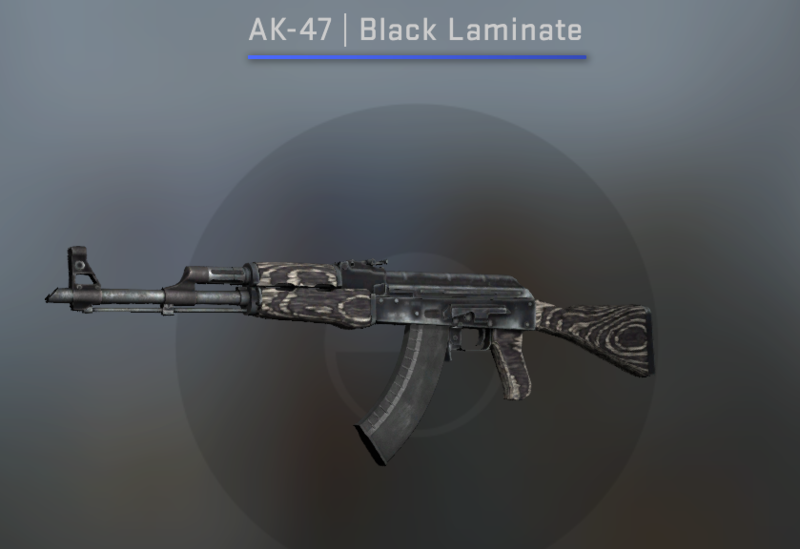 Since it’s existed in the game for a fair bit of time now it’s a smart purchase to make if you’re AK shopping for a skin under $10. 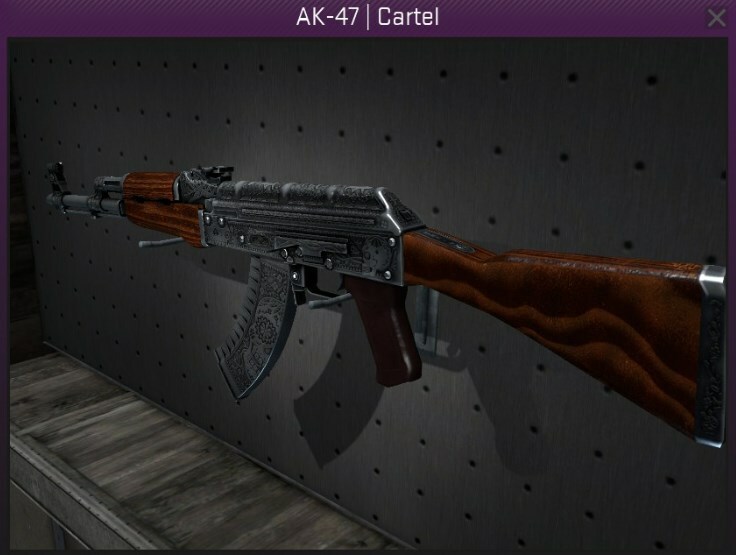 The Cartel skin takes the natural color scheme from the plain AK 47 and throws in some shiny surfaces and cool artwork to give this skin a more classy air. Just think of it as a brighter, more stylish vanilla AK, keeping a certified beauty of a color scheme but enhancing it. 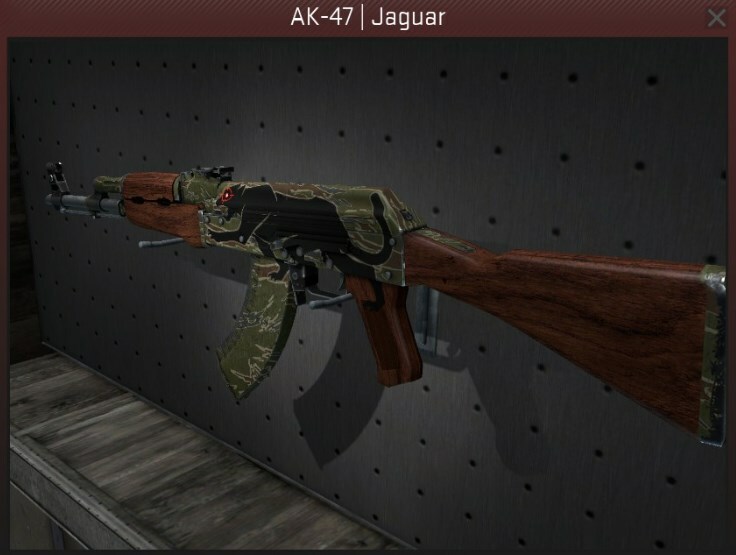 You know you’ve found one of the best skin deals in CS:GO when you can snag an AK with a Jaguar on it for under 10 dollars. The skin is so cheap due to it being slightly old, but that doesn’t take away from how imposing it is. CS:GO loves the circular patterns on skins, and they’ve created another winner in the Safety Net. 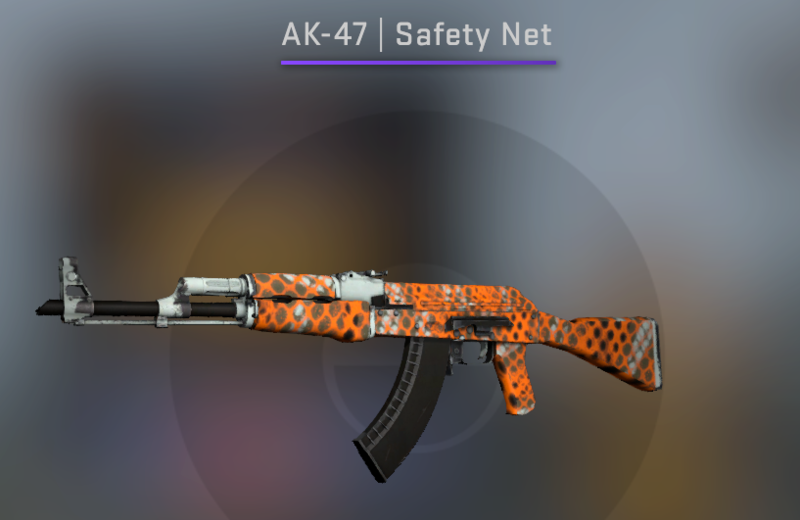 With a cool orange pattern that almost looks like it was sprayed on over a light background, this AK skin really brings a new touch than what any others on the weapon can bring. The mag is kept simple - jet black to add class to this colorful skin. 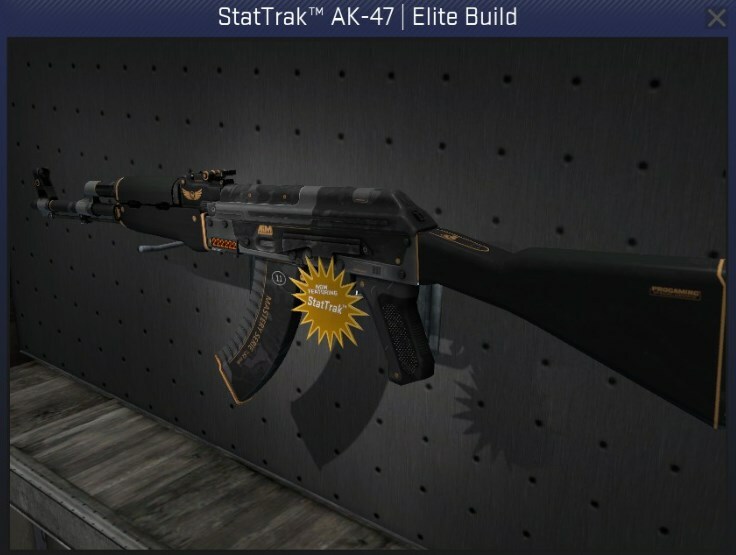 When it comes to the skins that you particularly want a StatTrak feature on, it has to come down to the AK. When you’re playing on the T side, you’ll likely be using this gun most rounds, giving you the chance to rack up a truly impressive tally. Plus, the skin looks pretty great for its price. This skin does push the price point a bit higher than our $10 budget, but we had to include it for how colorful and creative the design is, something hard to find on cheap skins. With a luscious pink body with the word ANARCHY scribbled on almost like graffiti, it’s hard not to feel like a badass when you join a lobby with this weapon. 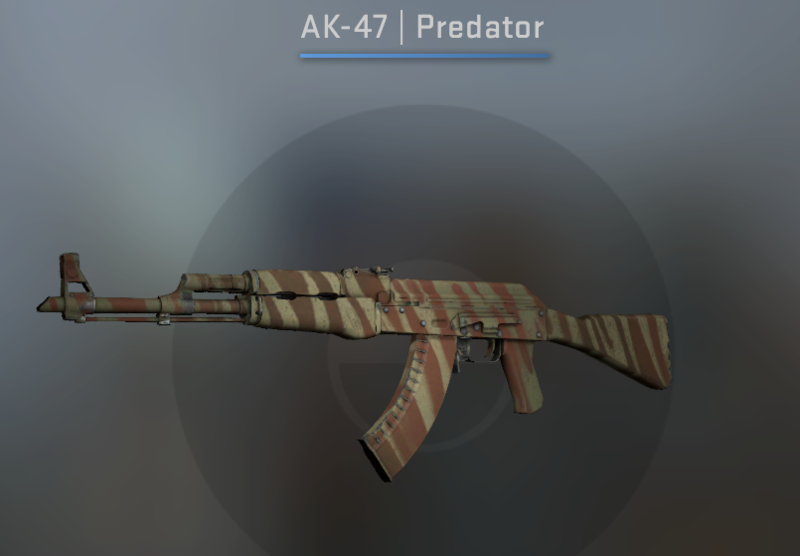 The distinctive green and brown stripes that this AK-47 boasts make it very clear that the skin's name, Predator, isn't to be taken lightly. It’s another Elite Build, but this time you get to track how many kills you collect with the most used weapon in CS:GO, making it a great deal. If you’re going to put a StatTrak on any of your weapons, it should be the one you use most in the game, provided you’re not an AWPer.